This romantic 14K bi-color vintage wedding band is adorned with a delicate white gold ribbon of dainty flowers and leaves. 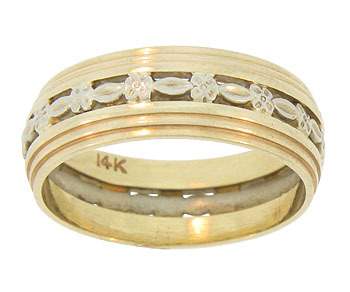 A trio of stepped bands fashioned in yellow gold frame the central design. 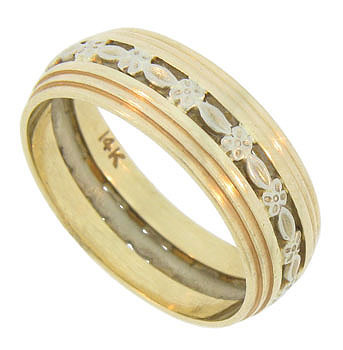 The Retro Modern wedding ring measures 6.52 mm in width. Circa: 1930. Size 7. We cannot re-size.